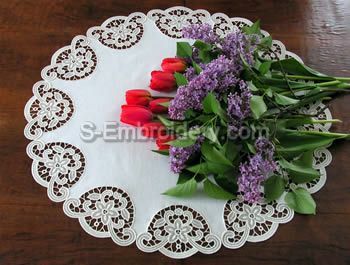 With this nice free standing lace embroidery design you can create a round lace + fabric doily with a size of your choice. 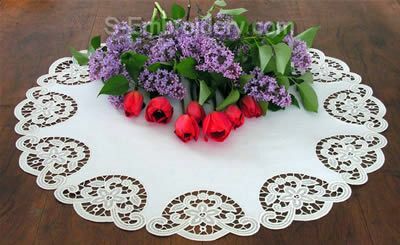 The doily featured on our site has a diameter of 26 inches (66 cm). The design will fit in 5x7 (130x180) hoops. 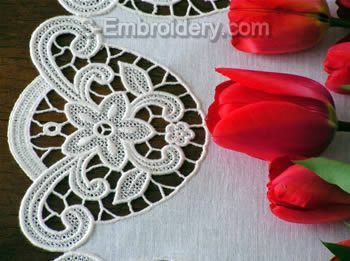 This design stitches out beautifully. I'm so happy with it. I'm so impressed with all the designs and care put into them.